Description: Two unidentified Brownie members of the Wichita Area Girl Scout Council. They are presenting flowers to a railroad engineer in honor of the “Safety Daisy” safe driving project. In 1967 the council received the “Youth Award of Merit” from the National Safety Council for their project. 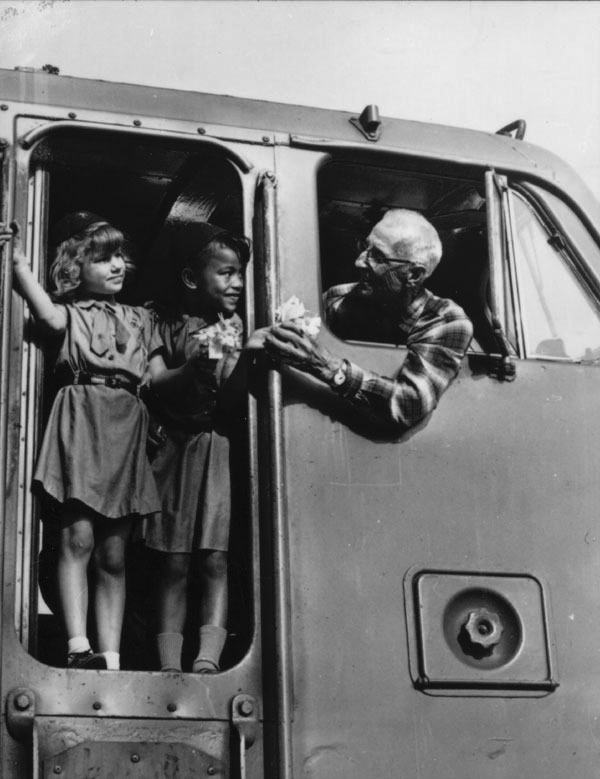 Keywords: Organizations, clubs and groups; youth; children. Description: Women contestants in a beauty pageant sponsored by the President's Council of the Wichita Camera Clubs. Keywords: Wichita, business and industry; organizations, clubs and groups; public events; swim suits; hairstyles; fashion; clothing. 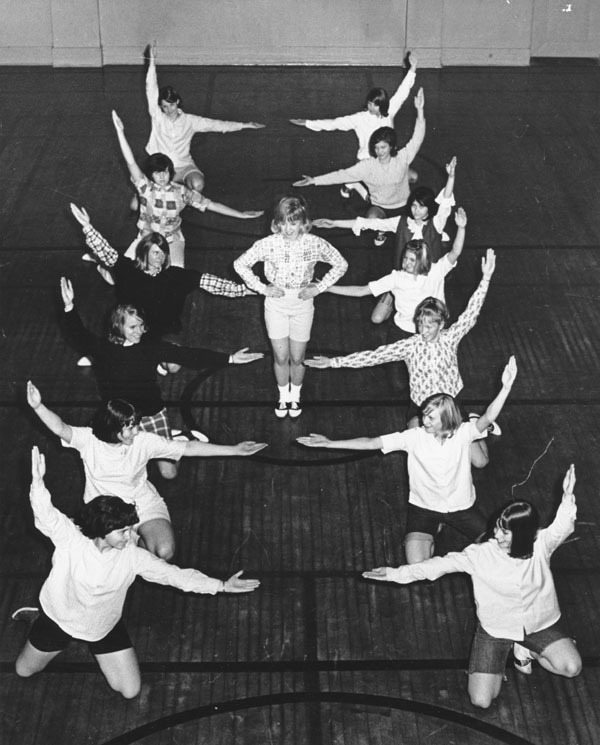 Description: Thirteen teenaged girls demonstrate cheerleading actions at the YWCA. First organized in Wichita in 1906, the organization was located at 140 North Topeka in downtown Wichita from 1916 to 1967. The YWCA opened a new building at 350 North Market in 1967; the structure in the photograph was razed in 1969.